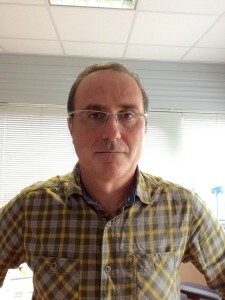 Professor Thomas Rosenau, University of Natural Resources and Life Sciences Department of Chemistry Division of Chemistry of Renewables, Vienna, Austria. 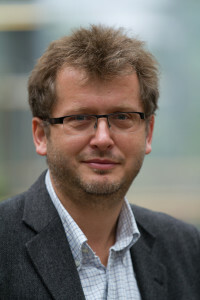 Professor Thomas Rosenau is head of the Division of Chemistry of Renewables at the Department of Chemistry, holding the Chair of Wood, Pulp and Fiber Chemistry, co-director of the Christian Doppler laboratory “Advanced Cellulose Chemistry and Analytics”, and adjunct professor of fiber chemistry at Shinshu University, Japan. Research focuses on chemical and structural aspects of celluloses and lignin, cellulose and lignin modification, cellulose aging, cellulose solvents, novel biomaterials, antioxidant chemistry, paper and fiber chemistry, as well as green chemistry approaches. Chemical Engineer by training specialized in agro-based chemistry, with more than 28 years in R&D for the pulp and paper Industry. Working for Tembec since 1994. – Took active part to the transformation of a Commodity Sulfite Fluff pulp mill (France) into a state of the art Specialty Cellulose Biorefinery. Currently R&D Director for Tembec Specialty Cellulose and Lignin businesses with operations in Canada and France.